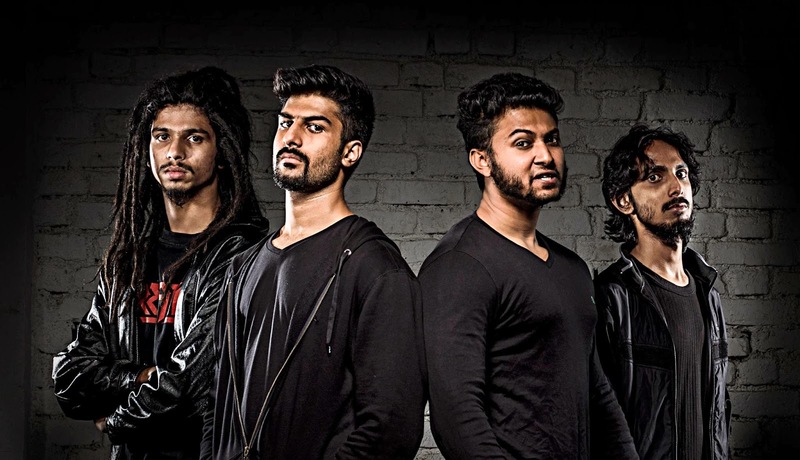 Coming from India, Halahkuh are a new band making a name for themselves recently. Forming in 2011, the band finally released their highly anticipated debut album in 2013; Desecration has come in the form of a fifteen minute EP and fans are still talking about the album almost a year later. What makes Halahkuh such an immediate sensation, and why are you missing out on this material? Desecration is an EP that gradually evolves over the course of it's four tracks. The material begins with "Ordeal", a two minute introductory epic that is just as atmospheric as it is misanthropic, from here the content begins shifting and changing for the next three tracks; the listener never knows exactly what's around the next proverbial corner. While "Sacrilege" is an extremely deathcore styled song, complete with appropriate vocals and even a musical breakdown, the latter two tracks range from melodic death metal to thrash metal. It's very hard to place the musical style of Halahkuh, and while it keeps the audience intrigued it can make their content very hit and miss. Even though their genre can change on a whim, the musical components at hand on Desecration are skillful, enjoyable and influential. The production quality of the content is crystal clear and comes injected with various effects that give the guitar tracks a pristine shine, such as during "In Extremis" when the guitar fades from one speaker to the other. The layering is spacey and gives depth between each instrument, which helps the twangy bass to stand out despite being embedded deeply into the material. The drums follow style and tempo changes perfectly, they can be hard hitting and quick or slow and emphatic. In some cases the drums are mixed too high, and overtake all other instruments sans the vocal track. The vocals themselves are enduring and spirited. the highlight being an elongated growling scream at the beginning of "Possessed Strangled and Enslaved". It doesn't appear as though Halahkuh know yet exactly what type of genre they're going to indulge in, and this can be seen as both a positive and negative aspect for the band. There are many groups, though they are few in the large spectrum, that deviate between genres and never focus solely on one. This quality can both isolate and gain fans depending on the genres that are being toyed with. Desecration is made up of deathcore, melodic death metal and thrash metal all within the span of four tracks; a more solidified release could reel in more fans for the group, or themed releases that center around one or two genre types at a time. 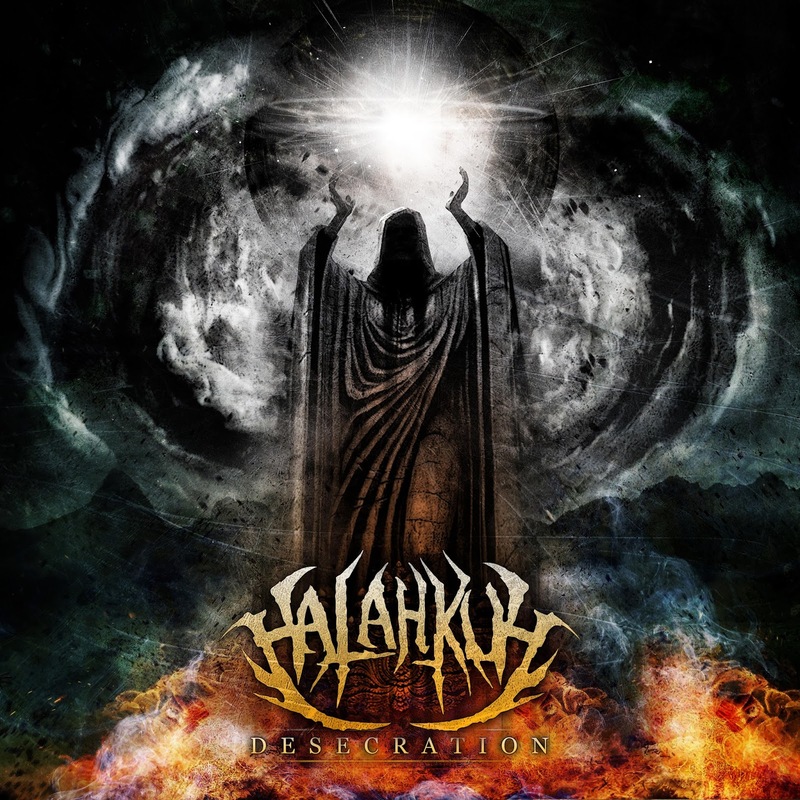 While Desecration feels like a sample platter of what Halahkuh are capable of, a full-length release that varies this much could be seen in negative light by critics. Worth a listen, you can pick this release up over at the Halahkuh Bandcamp for just $3.00 USD.